Our guide on starting a pet grooming business covers all the essential information to help you decide if this business is a good match for you. Learn about the day-to-day activities of a pet grooming business owner, the typical target market, growth potential, startup costs, legal considerations, and more! The most basic service for a pet grooming business is, of course, basic grooming and cleaning services. However, there is a growing market for services such as facials and other pampering services for the animals as well. Some grooming businesses focus on a certain kind of animal, such as only working with dogs, while others offer more diverse services for a more diverse range of animals. First and foremost, this is a job for animal lovers. 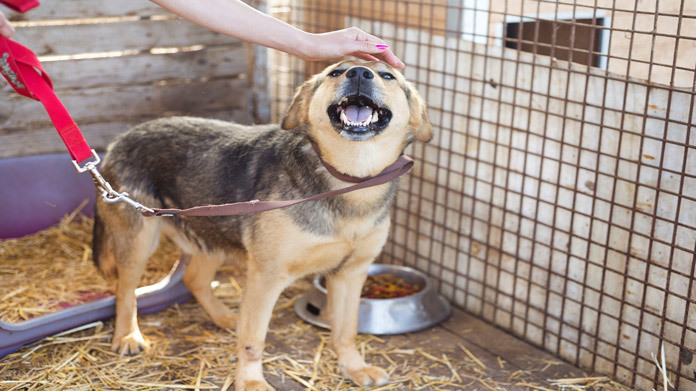 Both cleaning and grooming the animals require that the animals be relatively calm, so someone who is good with pets will have an easier time completing these tasks. On the flip side, this job is also good for those who are good with people, as you must be able to convince pet owners who highly value their pets that you will take care of their beloved animal without hurting it. What happens during a typical day at a pet grooming business? The exact nature of your daily activities will vary somewhat depending on where you conduct business. Some groomers work in their own homes, some work in the homes of pet owners, and still others work in places like kennels or coordinate with local pet stores. 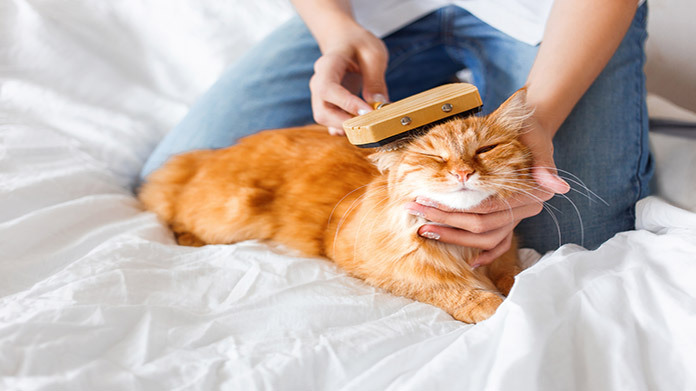 Regardless of location, daily activities including returning calls and emails, cleaning and grooming animals (including cutting and brushing fur, cleaning animals' ears, clipping their nails, and styling their fur), sanitizing your equipment, and providing detailed follow-up reports to pet owners. Arguably, the best clients for a pet grooming business are those who have had their pets for several years. This is because those whose pets are younger (and the owners themselves may also be younger) tend to be overprotective and nervous about leaving their animal in the care of others. 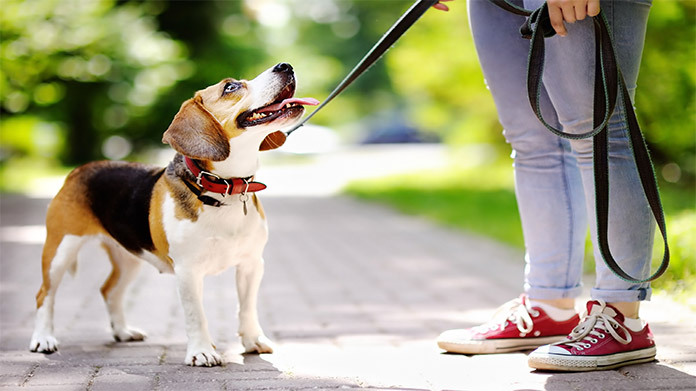 Veteran pet owners are more experienced in the process of bringing their pet to the groomer, so they will often have fewer concerns about leaving their pet in your care. How does a pet grooming business make money? At the most basic level, a pet grooming business makes money by charging different charges for its various services. In this way, it is not too dissimilar from a regular salon. So, you would charge customers a fixed amount for a haircut on their pet, and another amount for things like baths, facials, and so on. This means that becoming more proficient at completing these services will translate to more money each month for your business. What is the growth potential for a pet grooming business? The growth potential for a pet grooming business is relatively steady. Some research estimates that the jobs in this market will grow by over 20 percent through 2018. This is a direct indicator of the market for such a business, so your own business could very well corner this niche market of a community. What are some skills and experiences that will help you build a successful pet grooming business? One immediately useful skill for this business is prior grooming experience. While there are formal training plans available, this experience can also be obtained by working for someone else's grooming business or simply “practicing” by grooming the pets of various friends and family members. It is also helpful to already have a positive relationship with local vets and pet stores so that you can get referrals from their customers. What are the costs involved in opening a pet grooming business? The costs of opening a pet grooming business can be particularly low if you are able to operate out of your own home or operate in a mobile fashion (such as visiting pet owners' homes or working with local kennels). Doing so eliminates most of the overhead associated with the business and reduces the start-up costs primarily to obtaining high-quality tools and advertising your services. The costs of the tools you will need (which include clippers, shears, slicker brush, blades, smock, and greyhound comb) can cost up to $1000. Additional grooming supplies (including shampoo, conditioner, nail clippers, safety supplies, hydraulic drier, and a grooming table) can cost a little over $1000. These represent the bare essentials for your business, and if you choose to specialize in certain services (such as the aforementioned pet facials), it will necessitate additional tools and supplies. Aside from this, you must invest in advertising your business; consider a minimum of $1000 for “traditional” advertising (including radio, print, and possibly television) to start with, along with social media and advertisement via your own website which are, aside from your time investment, free. What are the steps to start a pet grooming business? Form a legal entity. Establishing a legal business entity prevents you from being personally liable if your pet grooming business is sued. Open a business bank account. A dedicated checking account for your pet grooming business keeps your finances organized and makes your business appear more professional to your customers. What are some insider tips for jump starting a pet grooming business? Obtaining a grooming certification can help establish the legitimacy of your business and bring in more customers. Observing and “shadowing” another groomer is a great way to learn the ins and outs of the business. Consider setting your business apart by offering sales and free samples of “extras” such as dog cologne, toothbrushes, and ear cleaners, which helps promote you as a kind of one-stop-shop for pet grooming and cleaning. As mentioned above, traditional advertising can work well, including radio ads and print ads. Television ads are also effective, but can sometimes be cost-prohibitive when you are starting out. Printing out business cards is an affordable and easy method of advertising your business, and if you already have a good relationship with local vets, kennels, and pet stores, you may be able to advertise your services there. Consider creating a professional webpage as well as a social media presence, both of which increase customer engagement long after you first establish them. In addition to the aforementioned methods of advertisement, consider attracting customers by offering discounts and free services (say, a free haircut with a bath) in order to help establish your quality. Consider a rewards program that continues to offer some of those discounts and freebies to frequent customers and those who refer others to you. 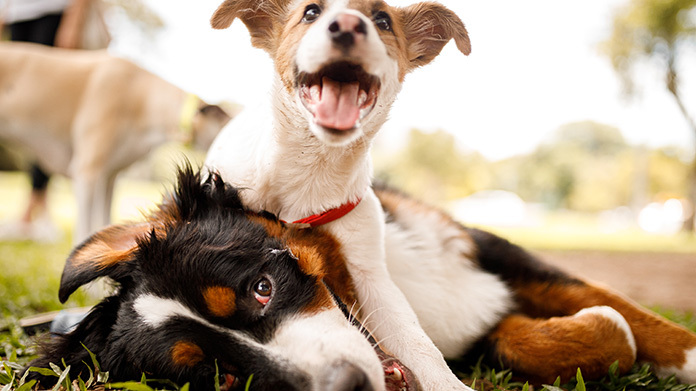 Also, consider holding pet-related events to draw community interest; these may include parties where customers can meet each other, enjoy snacks and drinks, and buy discounted products and services; as an added inducement, you can give a portion of the proceeds to local shelters and other animal rescue agencies. Like many businesses, the decision to build a team is contingent on a rise in your business. If you have too many people who need pet haircuts, baths, and so on than you can reasonably tackle, it's time to bring more people in. It is possible for you and others to still use either your home, each others' homes, or pet owners' homes in order to conduct business, which lets you maintain the attractively low overhead while doubling or tripling your business. This also represents an opportunity to cover multiple areas or cities under the same recognizable brand name. With a team that small, though, it is important to work out ahead of time what their pay will be in order to ensure your profits continue to grow. Certain municipalities also require pet grooming licenses. For instance, Connecticut municipalities require such a license. A good “average” to keep in mind for a pet haircut is around fifty dollars, though it is wise to consider charging more for particularly large dogs, as those jobs tend to take longer. This price typically includes bathing the animal, clipping its nails, and cleaning its ears, though you may consider charging a lower amount for someone wanting these services separately without the haircut itself. For an average of about ten dollars, you may consider services such as brushing the animal's teeth, de-matting its fur, removing odors, and so on. You should also charge between ten and thirty dollars more to cut without clippers, and if your business involves traveling to the owner's home, it is proper to charge a convenience fee between ten and fifteen dollars more. What are the ongoing expenses for a pet grooming business? The beauty of a small grooming business is that its ongoing costs are very small. As mentioned above, operating out of your own home, a kennel or pet store, or simply traveling to customers' homes eliminates the need for costly rent and utilities. Your primary ongoing expenses are cleaning supplies and advertising. While the exact charge varies depending on how busy you are, it should take $100 or less each month to obtain a few gallons of shampoo/conditioner (this should cost twenty dollars or less per gallon and, for most pets, be good for about a hundred baths) and to replenish safety supplies and minor equipment. Beyond that, you are paying for ongoing advertisement, and you should probably spend less than five percent of projected annual profits on this; once you are established, much of your traffic will come from referrals, social media engagement, and networking within your community. How much profit can a pet grooming business make? Pet grooming is a potentially very profitable business, with some estimates saying that a successful business can bring in anywhere between $75,000 and $100,000 per year. While there are startup ideas with higher potential profits, the very low cost to start this business and the extremely low ongoing expenses mean that the vast majority of that income goes directly to your pocket. Consider selling other items and services related to pets to make your grooming business more profitable. Some groomers have a sideline job of selling specialty pet tubs to owners who want to wash their pets themselves, for instance, while others make good extra money selling everything from unique animal toys to special animal treats. There is a market for everything from grooming equipment to animal clothing, and the more you can situate your business as a “one-stop-shop” for pet owners, the more potential customers you will have!